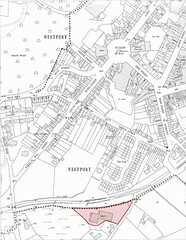 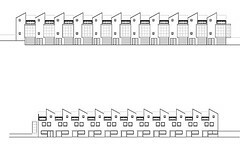 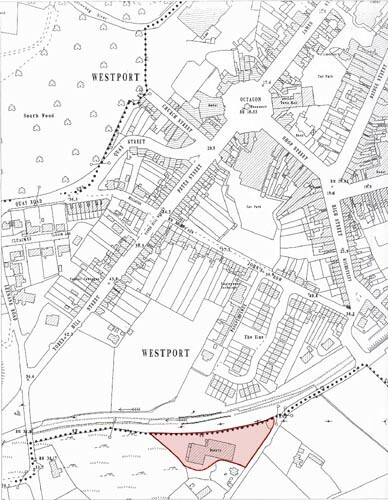 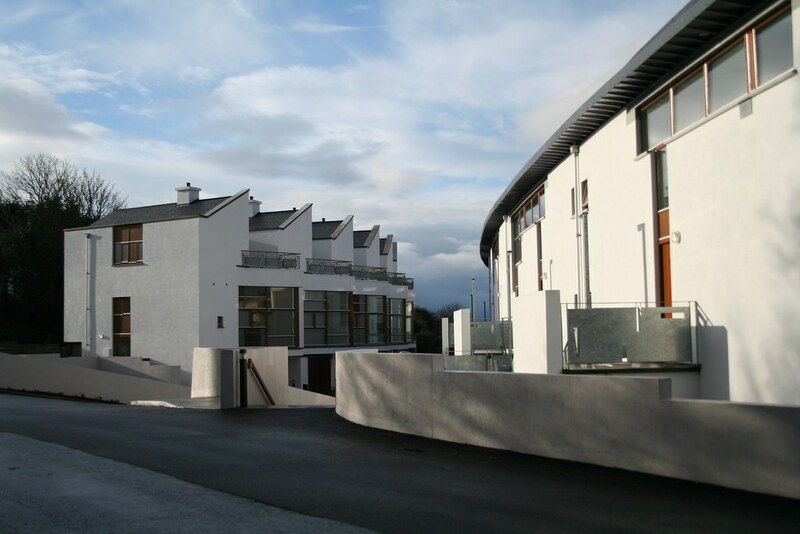 We were invited by Taylor Architects to work with them and the client Thomas Joyce to propose housing on an elevated site behind the historic planned town centre of Westport in County Mayo. 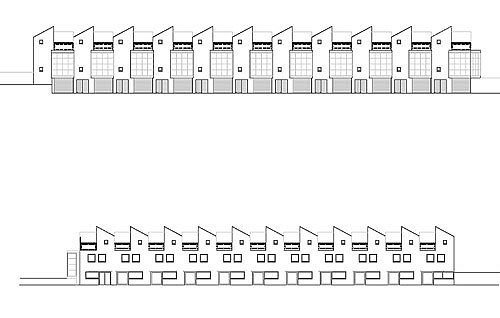 A disused industrial bakery sat on the site and this has now been demolished. 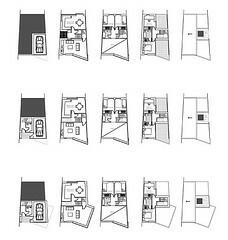 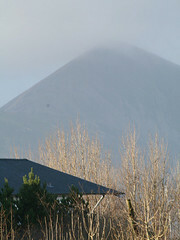 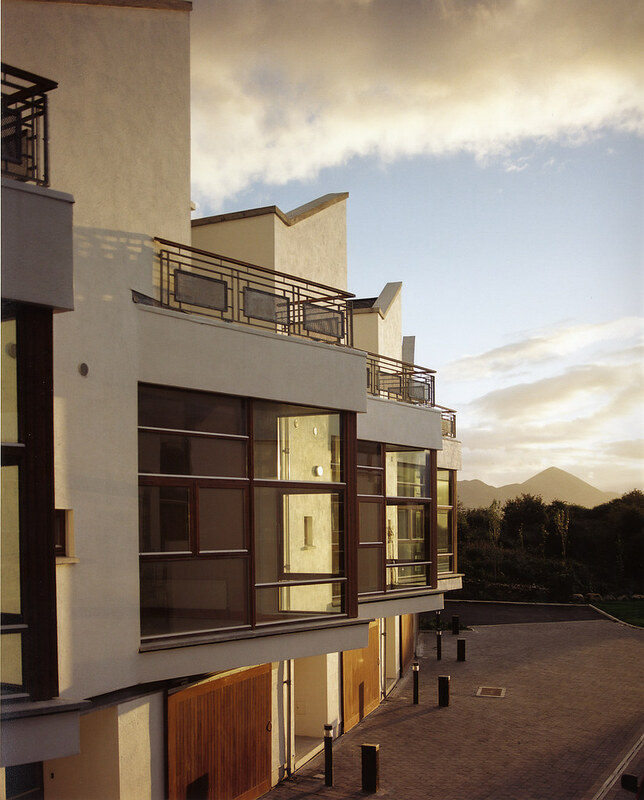 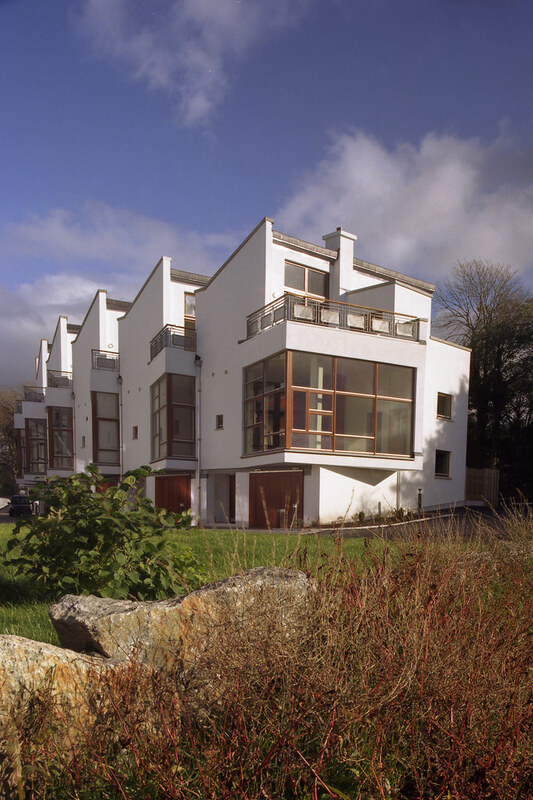 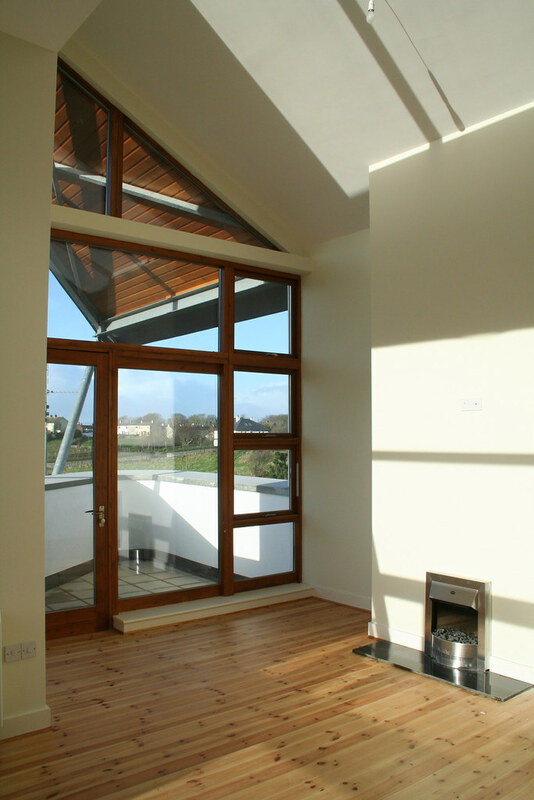 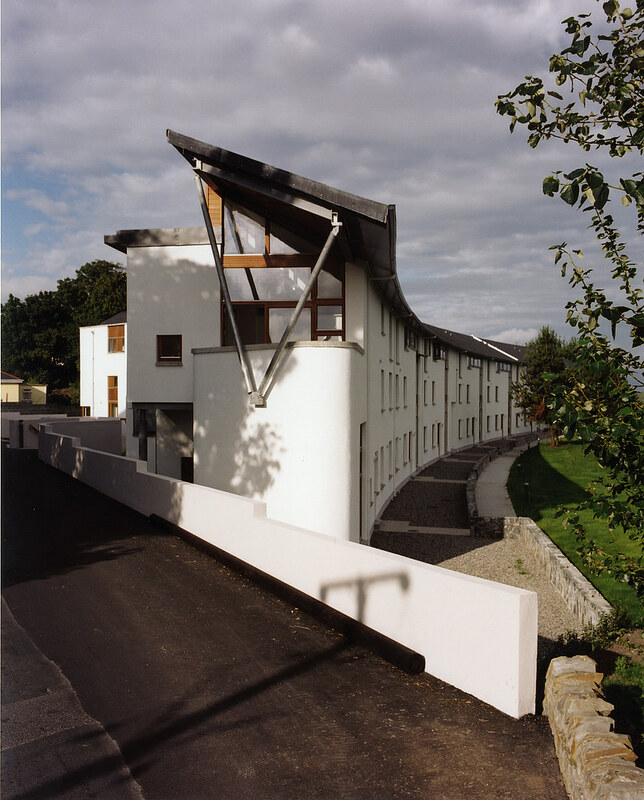 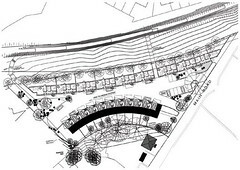 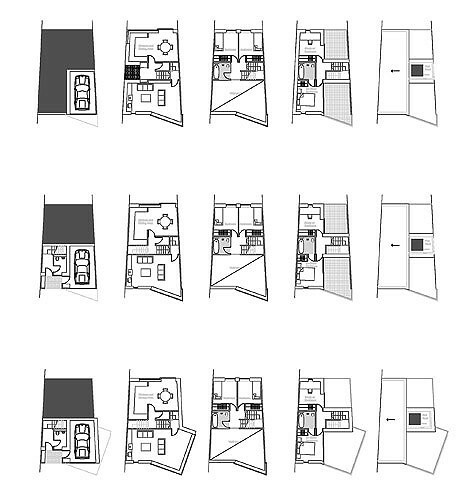 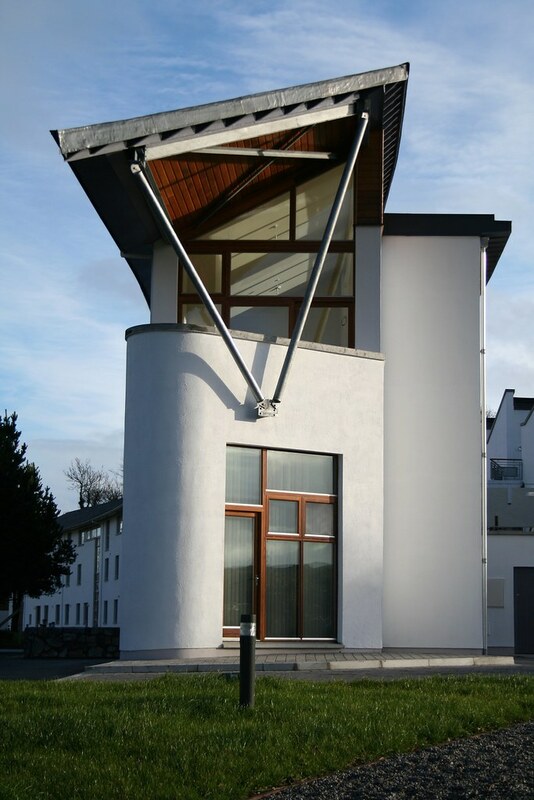 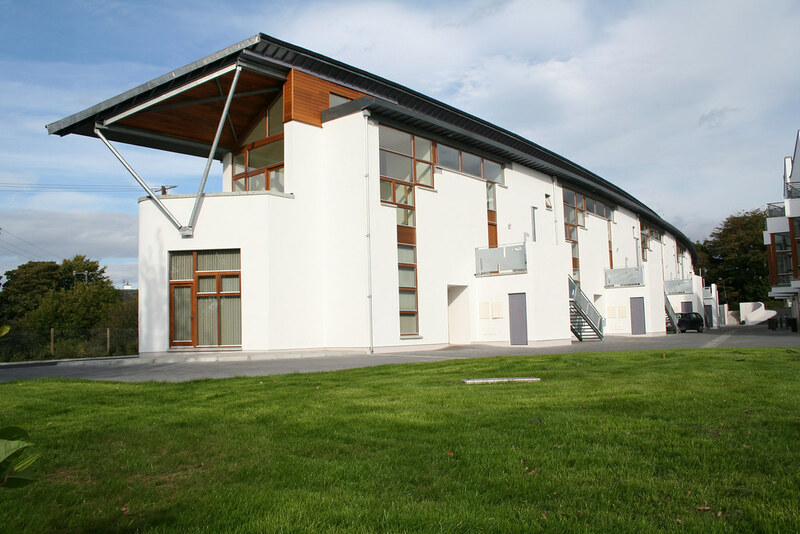 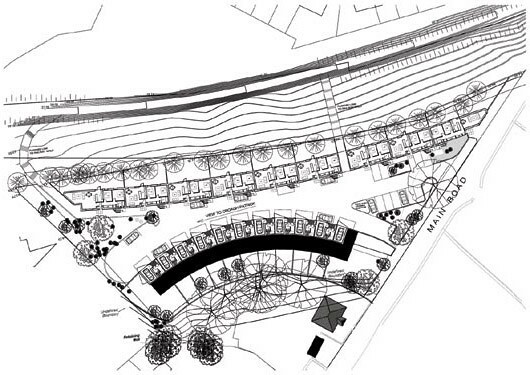 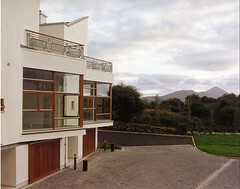 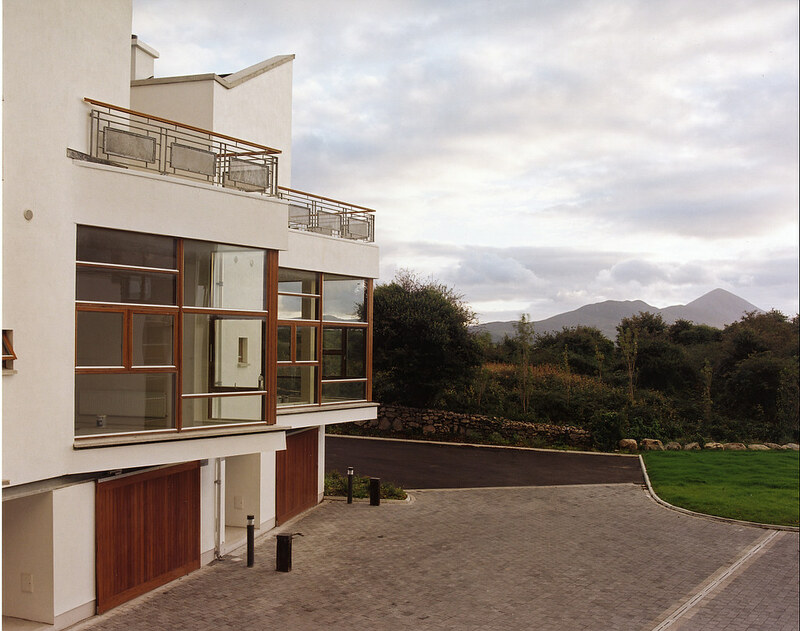 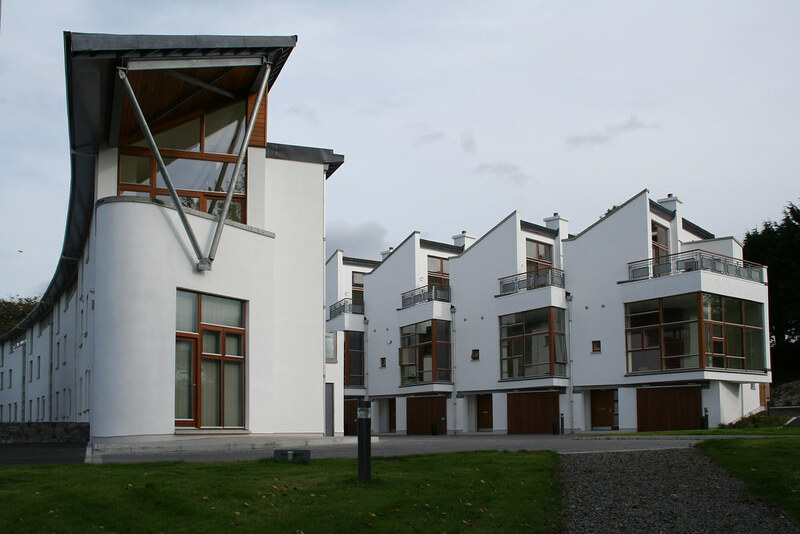 The site is particularly spectacular as it has a view of the dramatic pilgrimage mountain Croagh Patrick which dominates the town and the design envisaged an unusual formal arrangement of two convex crescents confronting each other. 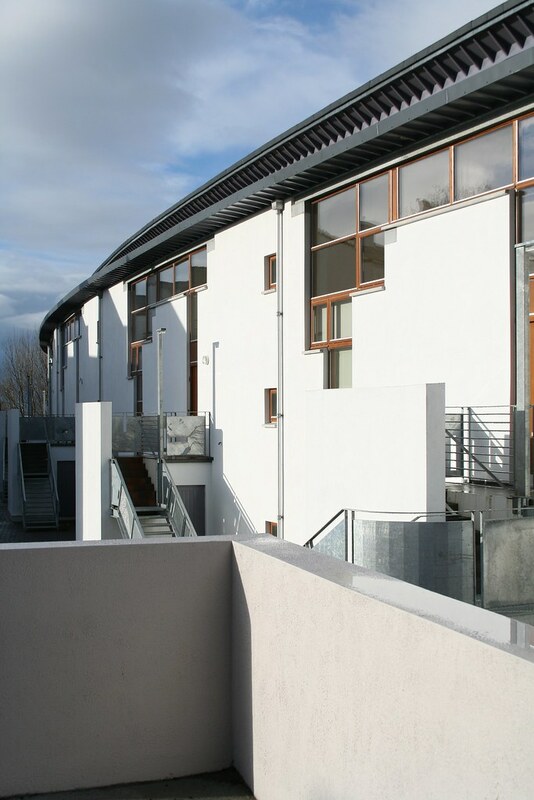 The crescent to the north is a three storey combination of flats and maisonettes with the upper maisonettes accessed by external staircases. 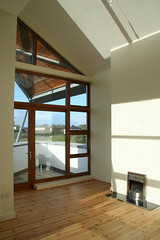 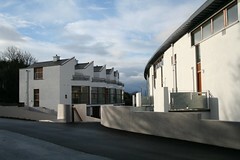 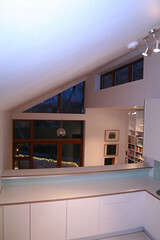 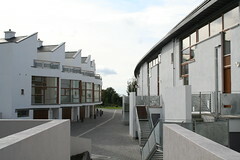 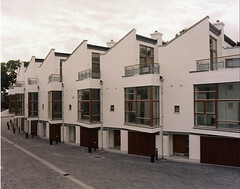 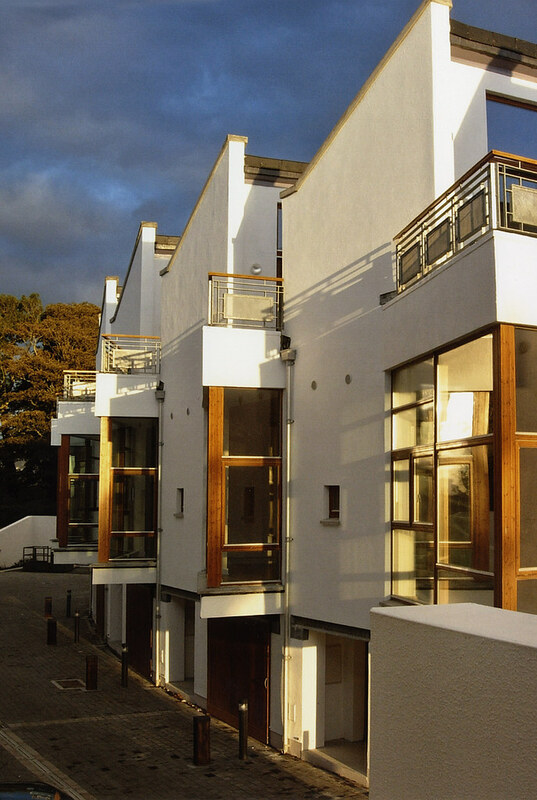 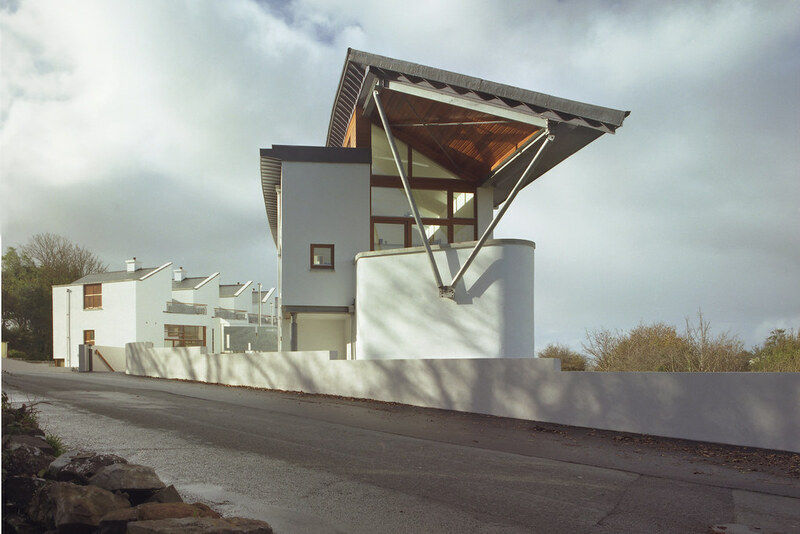 The Crescent to the south is a terrace of townhouses containing garages and a split level arrangement. 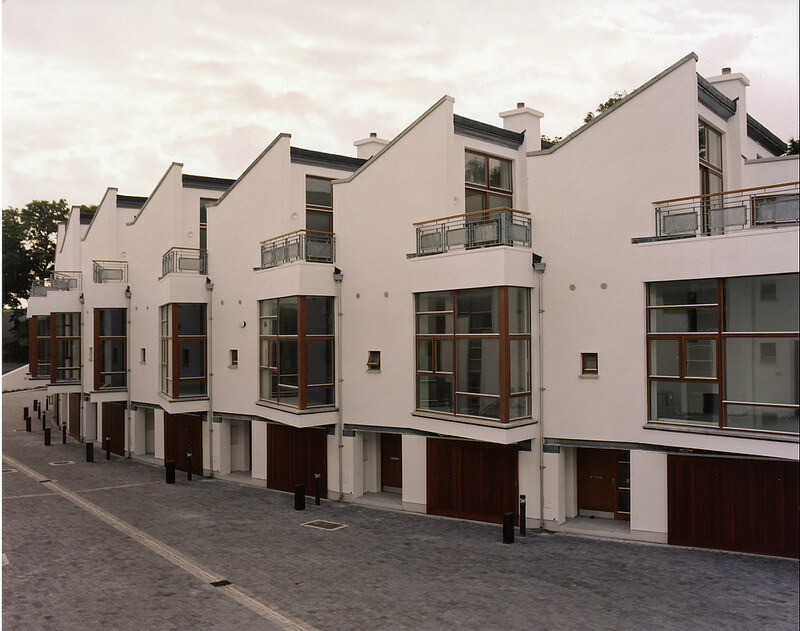 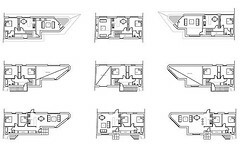 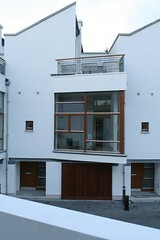 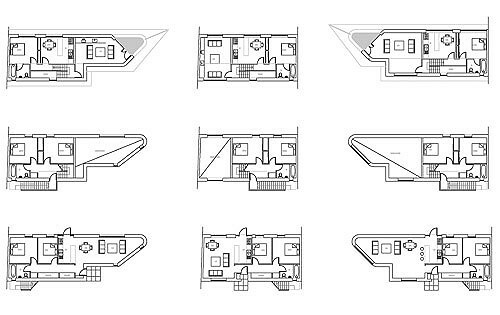 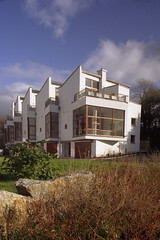 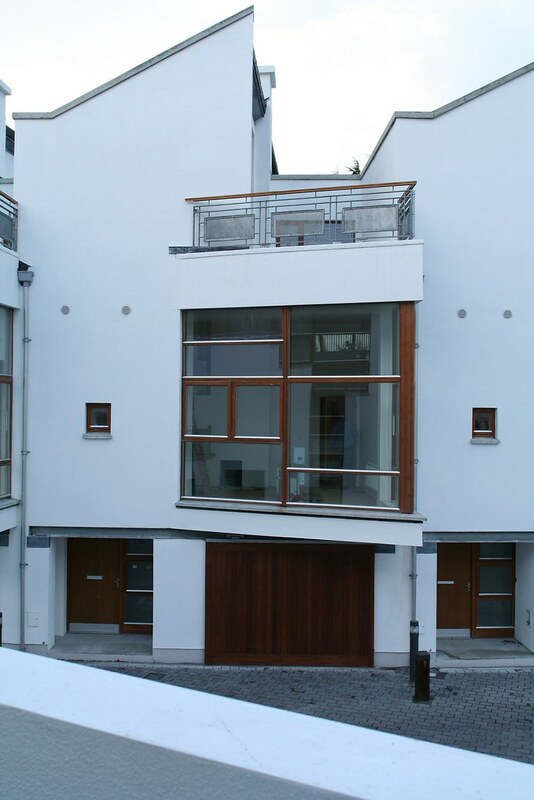 Both sides of the street have large living spaces of a one and a half storey height with the townhouses also having roof terraces and private rear gardens. 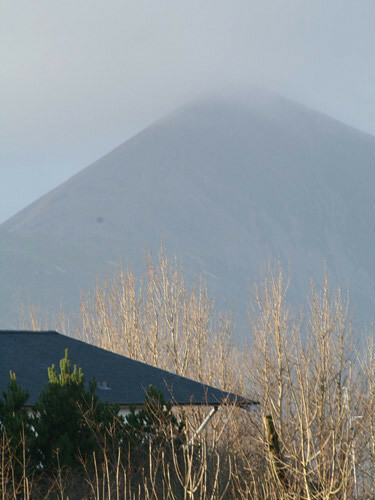 The shape of the site means that it will be impossible for all residents to see the mountain from their flats, however everybody will lay claim to the view since it is a framed on entry and exit by the two crescents. 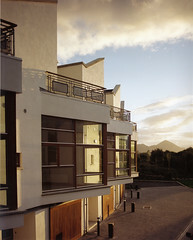 The western edge of the site has been developed as a communal garden with the mountain as a back drop. 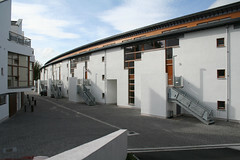 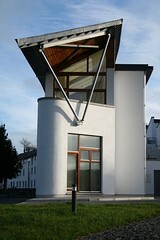 Construction of the project began in 2003 with completion in September 2005.